We are so proud of what we do and love sharing it with others. There are some questions we are asked frequently. Those are listed below. Please click on the 'Contact Us' link above if you'd like to connect with us directly. During blooming season, we are open daily from 9:00 a.m. - 6:00 p..m.
Blooming season is typically April and May. This all depends on the weather, however. Children, with adult supervision, are welcome to the garden. Ask about our treasure hunt! Pets are not allowed due to the number of visitors and space of the walkways. Artists, photographers, painters, and garden clubs are welcome to the garden. As much as we would love to accommodate your special day, we are unable to host weddings at the garden. Parking is provided along the lane that is marked parking and in our circular driveway. Handicap parking is marked and located directly in front of the garden. Iris availability is on a first come, first serve basis. If an iris name tag is pulled, it is sold out. 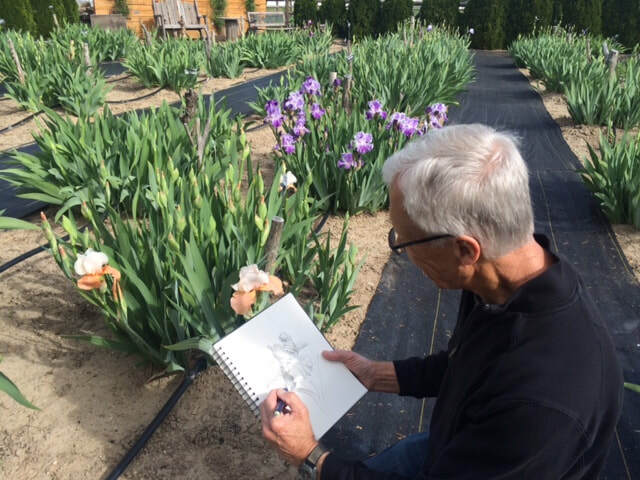 Many irises do sell out so we encourage early attendance to the garden. 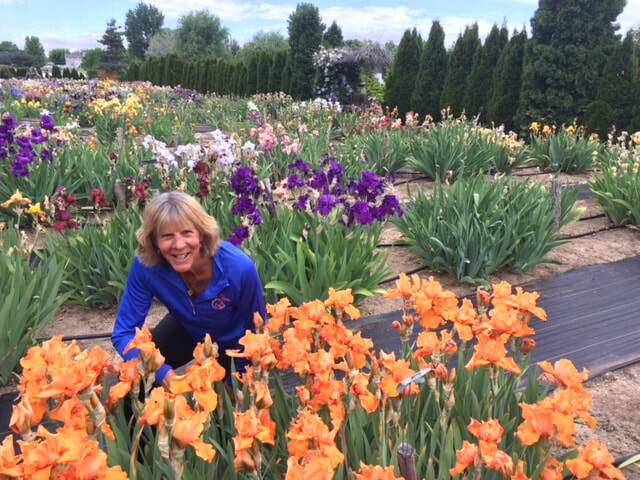 Prepaid iris order pickup: Daily from 9:00 a.m. - 6:00 p.m. typically the end of July when we dig them up. You will receive a phone call when they are ready. Please contact us for your purchase! We are usually in the garden but if not we have order forms set near the opening of the garden for you to fill out. 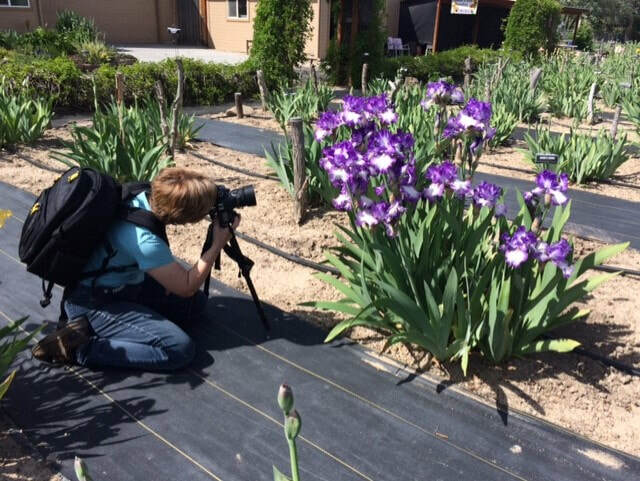 Each iris has a name tag near the plant. You may leave your payment with your order form in the secured mail box that is located near the entrance of the garden. We encourage posting on Facebook and Instagram.